Terms such as ‘flame resistant’, ‘flame retardant’ or 'fire resistant’ are synonymous with what are commonly known as FR fabrics, FR materials or FR protective clothing. 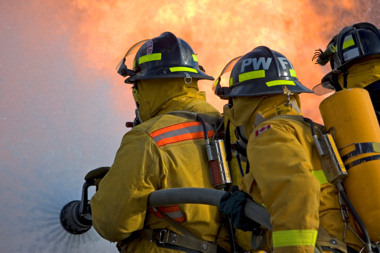 In general, the meaning of flame resistant and more specifically, inherently flame resistant (IFR) is, "garments manufactured from textiles with fibres with a chemical structure that will not burn in air; that is, they do not promote burning after exposure to and removal from the source of ignition. Flame retardant treatment fabric (FRT) is cotton or a cotton/nylon blend made flame resistant through a chemical treatment applied to the fabric/fibre". Flame resistant fabrics and garments are engineered to resist ignition, prevent the spread of flames away from the immediate area of high impingement and to self-extinguish almost immediately upon removal of the ignition source. Normal work apparel will ignite and continue to burn if exposed to an ignition source such as flame or electric arc. Everyday fabrics will continue to burn until they are extinguished or all flammable material is consumed. When discussing inherent flame resistance, a fabric is categorised as IFR if it is woven from fibres that yield a product that meets flame and heat standards without being subject to any processing or addition of chemicals. IFR fabrics are expected to remain flame retardant for their lifetime, even after repeated washings. The word 'inherent', together with the adverb 'inherently', is defined by the Oxford English Dictionary as an adjective which describes "existing in something as a permanent, essential or characteristic attribute". There is continual debate in the FR fabric industry about the merits of 'inherent' versus 'treated' fabrics. During recent years the topic has become increasingly subjective mainly because of the influx of many new so-called FR fabrics. The above section briefly discusses what are commonly referred to distinctions; distinctions now entrenched in marketplace understanding and literature. However, it is important that Corporations not only be aware of the differences between fabric types but also how these differences impact performance. 'Inherent' and 'treated' fabrics are engineered to promote charring rather than burning and today's well-known 'treated' brands are capable of performing just as well as the well-known 'inherent' brands. Comparisons should perhaps be debated on a more meaningful basis, that being, 'proven' versus 'unproven', since the only real measure of a flame resistant fabric is whether its performance and protection are proven. At this point readers should perhaps determine their own conclusion by referring to the article published by Westex Corporation titled "The Truth About Flame Resistant Fabric Terms: What's Really Behind the "Inherent" versus "Treated" Debate". The article highlights the misunderstandings and inaccuracies surrounding this widely debated topic. When regular or non-FR cotton or cotton/polyester work clothing contacts a flame or intense heat source, it will ignite and continue to burn or smoulder until aggressively extinguished. Fabrics which do not have FR properties may further compound burns or injury by melting into the skin, or in worse case, cause death. FR textiles will not support combustion and will self-extinguish once the initial heat source has been removed. The potential for burn injuries will be contained to the ignition or exposure contact area and those areas not covered by the FR clothing. For example, where there is risk of electric arc, everyday work wear manufactured from regular cotton or cotton/polyester fabrics can be readily ignited at exposure levels as low as 4 to 5 cal/cm2 and once ignited will continue to burn adding to the extent of injury sustained from the arc alone. Second-degree burns occur at 1.2 cal/cm2. Today's generation of FR textiles are engineered to provide workers with extra seconds to escape life threatening situations. The level of protection provided by FR Personal Protective Clothing is classed as either Primary or Secondary. Primary protection apparel is often referred to as ‘front line’ or ‘first line’ protection and can be likened to turnout gear worn by structural fire fighters. When there is significant exposure, primary protective items are worn over secondary protective clothing and removed when primary protection is no longer required. Primary protective items include full length smelter aprons and coats, aluminised suits, leg, shoulder and arm spats, switching coats, hoods and pants, insulating rubber gloves and leather protectors, head protection, face shields and fire brigade turnout gear. Secondary protection apparel is designed for continuous wear in designated locations where intermittent exposure to electric arc, molten substance splash, radiant heat and flame is possible (as defined by ASTM Standard F1002). Often referred to as ‘uniform clothing’ and worn on a daily basis, it is the key component of FR work wear and is designed for continual wear in the workplace. 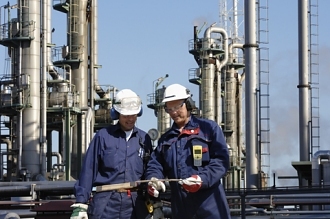 Secondary protective clothing includes shirts, trousers, pullovers, jackets, socks and coveralls/overalls. These garments provide an additional layer and create an air gap between the undergarments and the secondary protective layer. Undergarments can enhance wearer comfort by overcoming textile stiffness and in some cases assist with allergies resulting from the use of certain types of textiles. For environments with electric arc hazards, the use of FR undergarments as a multi-layer system will significantly increase Arc Thermal Performance Value (ATPV). It should be noted that non-flame resistant 100% cotton will ignite just as easily as poly/cotton fabric in an electric arc flash. While 100% cotton will not melt or drip, it burns hotter than poly/cotton fabrics and typically is heavier, allowing it to burn longer and making it harder to extinguish. Generally, no one workplace is the same and consequently before finalising FR work wear programs, end users should determine a fabric’s suitability in accordance with the relevant OH&S legislation and their own workplace conditions. Testing to international standards is normally conducted under laboratory conditions and can vary from actual workplace conditions. Test criteria and results should only be used as a guide when conducting in-house risk assessments. To ensure proper protection, corporations should perform their own hazard risk analysis and install FR work wear programs based on the probable worst case exposure for a workplace task. The primary aluminium industry is an example where secondary protective work wear must be capable of providing protection against a wide range of exposures. Workers in primary smelting areas must contend not only with molten aluminium and molten cryolite, but also electric arc. 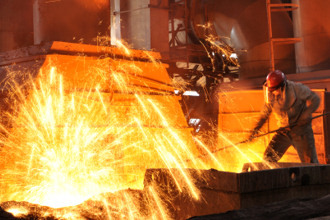 Re-melt and cast house workers must contend with molten metal splash and radiant heat. 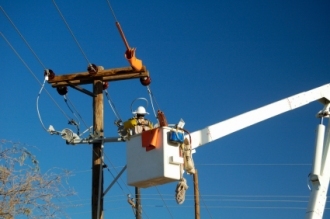 Electrical and maintenance workers are constantly faced with electric arc hazards. Many of the new generation fabrics are able to cope with such a diverse range of exposures and most are inherently FR, lightweight, highly breathable and offer maximum protection with superior comfort. Electric arc flash and arc blast. Heat, flash fire and sparks. Molten metal splash and radiant and convective heat. Potential contamination from harmful organisms (bacteria etc.). Extremes of pressure (marine environments/altitude/space). The wear characteristics of the garment. Cleaning and appearance of the garment. The FR textile must provide the maximum level of protection against the identified type or groups of exposure. The chosen textile must display proven performance (standards compliant) and protection (properties cannot be laundered out), be lightweight (without compromising safety) and be highly breathable while offering maximum safety with superior comfort. FR textiles have different properties. Some are soft and comfortable next to the skin, while others are more durable and best suited as outerwear. Once selected, the textile must be able to self-extinguish and offer high break-open resistance. Selection of the 'perfect' FR textile and/or fibre is a complex process. Each FR textile or fibre has particular properties which either provides benefits or shortcomings. Textile manufacturers blend fibres in an attempt to balance these individual properties to maximise a textile's performance. It is imperative that assessing Corporations be aware of each fibre's properties to ensure that garments selected meet the specific requirements of a given application. Corporations usually adopt corporate identification. Choice of textile colour(s) will be limited to the textile manufacturer’s standard range. Special order production runs usually require larger minimum quantities and longer lead times. Consideration should be given to limiting colour selection to the textile manufacturer’s standard range. The clothing’s design must be capable of dealing with the identified hazard(s) and if worker modifications are requested they should be firstly deemed necessary. Garment manufacturing is usually geared for large production runs and if volume is relatively small, modifications will incur a price premium. Carefully consider the manufacturer’s design and if modifications are required ensure the volume is sufficient. If modifications are not required, do not complicate the selection process by offering too many options. FR work wear is most functional when it is simple or plain in design. When finalising PPC programs, corporations must decide the two conflicting issues of safety versus comfort (here textile experts are speaking about "the double edged sword"). While the level of protection typically rests in a textile's weight and composition, the issues of radiant and convective heat are often underestimated: clothing needs to protect against the heat from outside but allow the body-heat to escape. A bulky and heavy garment will temporarily provide good protection against radiant and convective heat, but the worker will soon collapse, because the body's heat will become trapped inside. This can lead to muscle cramps, dehydration, fatigue, heat stress and in the worst case, heat stroke. The protection provided by FR textiles is usually measured quantitatively, that is, the rate at which heat is transferred through the fabric and qualitatively, that is, whether there is any subsequent textile destruction (break-open), shrinkage, ignition or adhesion of metal to the textile. Often workers will be subjected to high ambient temperatures, humid conditions, hard physical work and high levels of radiant heat exposure. FR textiles which dissipate the body’s heat and moisture quickly and efficiently are regarded as being the most ‘comfortable’, which in general terms means softness, smoothness and breathability. ArcFlashWear’s textiles have the ability to absorb moisture and create an evaporative cooling effect. This feature is commonly known as a ‘wicking effect’ (moisture transfer) which limits heat stress, keeping workers cool and comfortable. Wool, for example, is one of the oldest known natural fibres and is constantly in demand for its unique natural properties including comfort and inherent fire resistance, properties that science cannot yet replicate. The ability of Wool to absorb up to 30 percent of its weight in moisture vapour gives it superior comfort, insulation, anti-static properties and flame resistance. While Wool can absorb moisture, it also repels liquids. Wool has a natural elasticity greater than any other natural fibre, which makes it comfortable to wear as it fits the shape of the body. Mental and physical exertion increases the body's core temperature. Increased blood circulation and the production of perspiration cool the body down. This cooling down process can be disrupted due to improper textile heat and moisture management leading to problems with concentration, fatigue, muscle cramps, difficulties breathing and ultimately heat stroke. The excellent moisture management and breathability of FR fibres such as Lenzing FR®, Nomex®, Cotton, Kermel® and Wool, used in the manufacturing of premium FR work wear, lead to a reduction in the risk from this mortal danger. FR work wear should be designed and manufactured to protect against the probable worst case exposure for a workplace task while offering a number of important features. A larger fit to allow for circulation of air between undergarments or skin and the secondary protective layer. The circulating air allows the body’s heat and moisture to dissipate more efficiently. A larger fit also allows for enhanced freedom of mobility. As much body area as possible should be covered. For example, shirt sleeve cuffs should seal to avoid material such as hot metal from entering the cuff. A top button on the shirt collar will ensure the garment is closed-off when the wearer is exposed to an electric arc flash. One design feature employed by ArcFlashWear is the small placket shirt front. This feature allows only one button to be opened, eliminating the risk of exposure when a worker might otherwise ‘cool off’ whilst working. Other materials used in the construction of FR work wear should also meet stringent FR tests. Materials such as threads, reflective tapes, buttons, studs and zippers should be capable of complying with their own OH&S regulations. Sub-standard materials used in the construction of FR wok wear will compromise the integrity and capabilities of the chosen textile. It is essential that FR work wear allow for easy and rapid removal, hopefully without causing further injury. Main closures must open quickly while any attachments and closures around pockets must not be capable of trapping hot material. It is important that serviceable colours be selected. Textile manufacturers have already researched and decided their colour range long before potential end users initiate an inquiry. FR clothing cannot be likened to fashion garments and in most cases available colours are those which contribute to the clothing’s serviceability and colourfastness. More often than not, special order colours result in larger minimum quantities and longer production lead times. Standard colours should be more readily available since textile manufacturers usually hold inventories of their standard range. If not, standard ranges can be manufactured much more readily than non-standard ranges. Colours and shades of Navy Blues, Light Blues and Charcoals give excellent serviceability from an appearance point of view, while high visibility colours which comply with OH&S regulations for non-fluorescent daytime use should be used where appropriate. UltraSoft® and PR97™ in Yellow or Orange are excellent examples of high visibility FR textiles. Consider manufacturing garments with double layered reinforced sections in areas such as the chest, back, knees, arms, seat or crotch for environments where workers are exposed to extreme high danger or constant heavy workloads. Double layered reinforcement provides increased protection of vulnerable body areas and extra seconds when a worker needs to escape from a hazard or has to remove the garment before the onset of second or third-degree burns. Correct cleaning and maintenance of FR work wear will ensure it provides continual safety, comfort, serviceability and longevity. Premium textiles and materials carry premium prices. Consequently, corporations have a significant investment in their FR work wear programs, which like any other asset must be effectively managed. Home laundering should be discouraged. Common household washing powders, soaps, detergents and fabric softeners are not suitable for laundering FR work wear. These ‘everyday used’ materials can remove the FR treatment from treated fabrics such as cotton and cotton/polyester. With inherent FR textiles, cleaning materials can cause a film or build-up within the fabric structure, which may itself combust should the garment be exposed to an ignition source. Home laundering also raises the possibly of transporting contaminates from the workplace to the home. If corporations do not have contract uniform or apparel management, it must be acknowledged that home laundering may be the only option available to workers. If so, corporations should provide workers with information to allow them to undertake their care and maintenance strictly in accordance with the manufacturer’s instructions while at the same time, ensuring workplace clothing is laundered separately from domestic garments. Given the above, garment care labels show laundering instructions but sometimes only provide basic information. Corporations should seek further instructions from the garment manufacturer and display the instructions in appropriate workplace areas. At the time of issuing garments to employees, documented care and maintenance instructions should be provided. Repair of garment damage should be carried out only in strict accordance with the manufacturer’s specifications and recommendations. Correct repair and maintenance procedures will ensure the integrity and continued serviceability of the clothing.